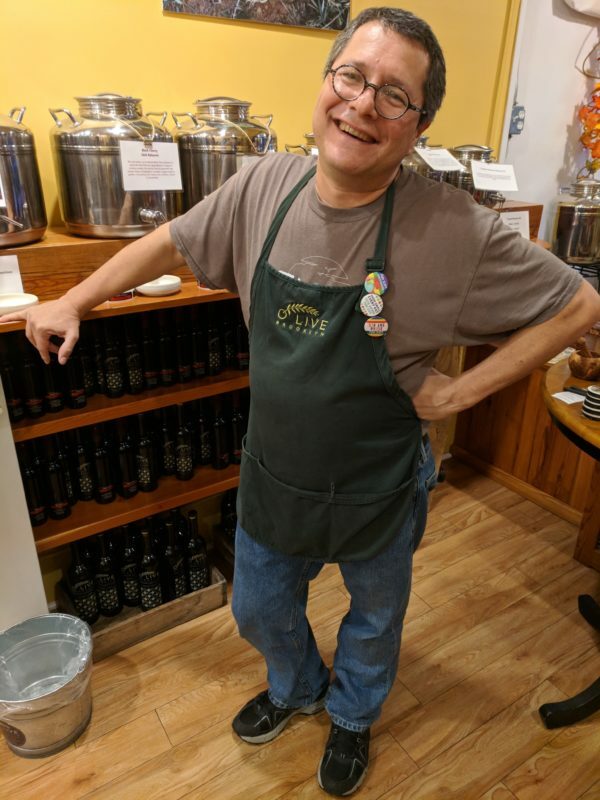 PARK SLOPE – On a recent evening on Fifth Avenue, I sat around a table noisily slurping a variety of amber colored liquids. The gurgling escaping our lips was an aeration technique, used by sommeliers and coffee tasters, to help us discern the delicate distinguishing notes of grass, green banana, and unripened papaya found in the Don Carlo, Koroneiki, Favalosa, and Hojiblanca—not rare white grape varietals, but unique extra virgin olive oils (EVOO). 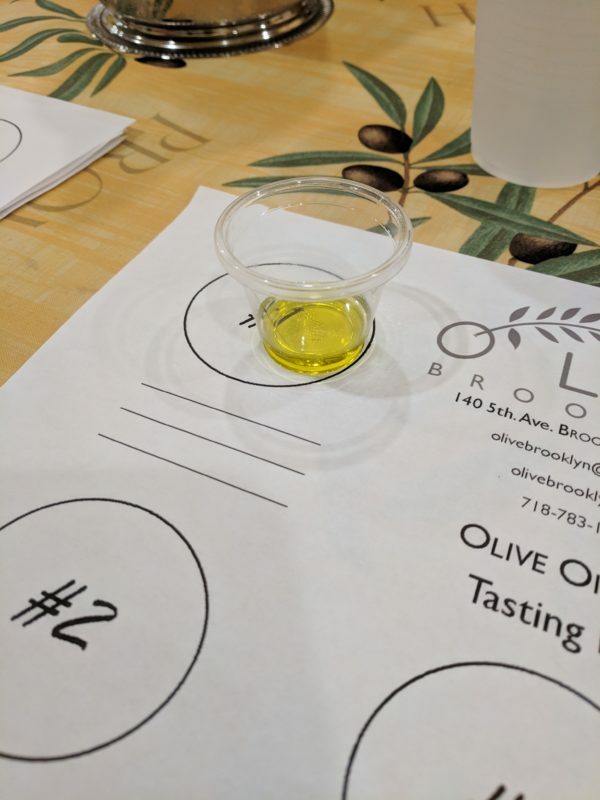 About twice a month O Live Brooklyn offers Olive Oil 101, a tasting class led by store owner, Greg Bernarducci, that explores the flavor characteristics and chemistry of single varietal EVOO. Bernarducci began by providing a quick and dirty overview with a handout delineating the six existing standards and nine main chemical parameters for EVOO: for example, Free Fatty Acids (FFA); Peroxide Value; Oleic Acid; and Phenolic Content. Those parameters, respectively, determine an oil’s freshness, rancidity, monounsaturated (good) fats, beneficial antioxidants and radical scavengers. All the oils sold by O Live Brooklyn meet the Ultra Pure (UP) standard, meant to distinguish the highest quality olive oils in the world. 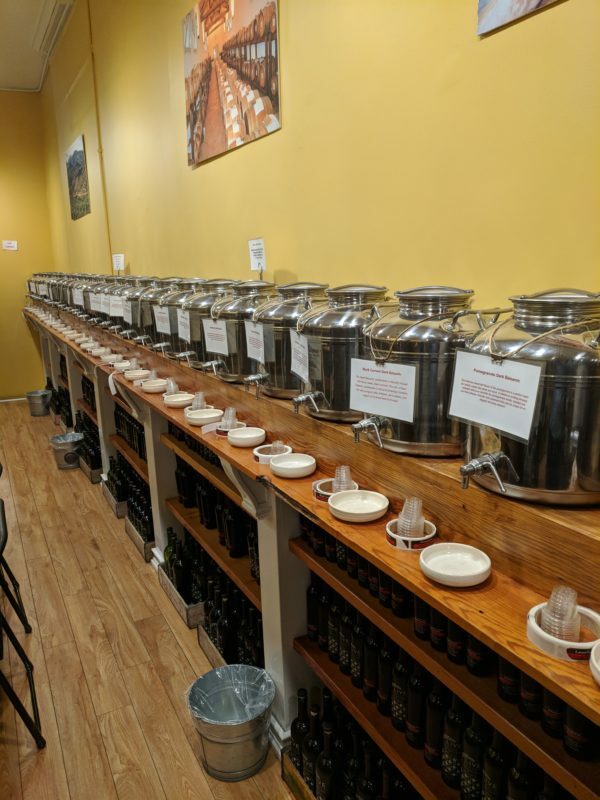 These oils are supplied to about five hundred independent specialty shops across the United States, along with equally distinguished balsamic and other vinegars, by a California based distributor, Veronica Foods, creator of the UP standard. While the differences between many of the oils were quite subtle, for example Hojiblanca was milder than its more bitter and robust counterparts, everyone’s taste buds were able to call out the one non UP standard oil that Bernarducci tried to slip past us. The “Number Four” sample clearly had less flavor. Perhaps it was a blend of different types of olives and/or was refined by cooking or added chemicals. Extra Virgin, by contrast, must be from the first press of olives and free of additives—essentially an all natural fruit juice. You will pick up other tips such as judging freshness by the date the oil was pressed, not the expiration date, or looking for dark-tinted bottles which are better for preservation. At the end of class you will be treated to snacks and a delicious specialty cocktail like the one made from Grapefruit White Balsamic, vodka, and seltzer. You’ll even walk away with a small bottle of EVOO. 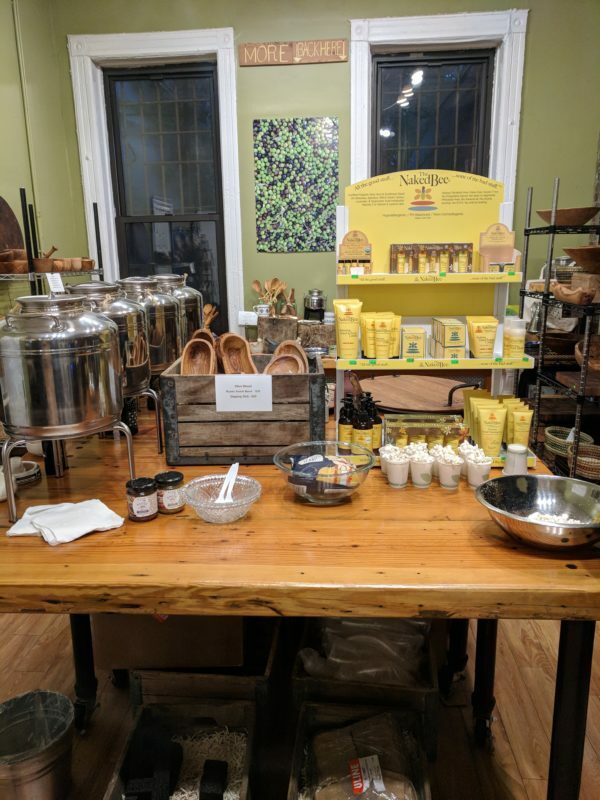 But before you do, wander the aisles putting your new-found knowledge and tasting skills to work on numerous EVOOs, or non-EVOOs, such as infused Blood Orange, Basil, or Chili Fused (extra hot) olive oils or exotically flavored vinegars such as Honey Ginger or Coconut White Balsamic. O Live Brooklyn is like an adult candy store, but better. You get to sample for free before you buy! 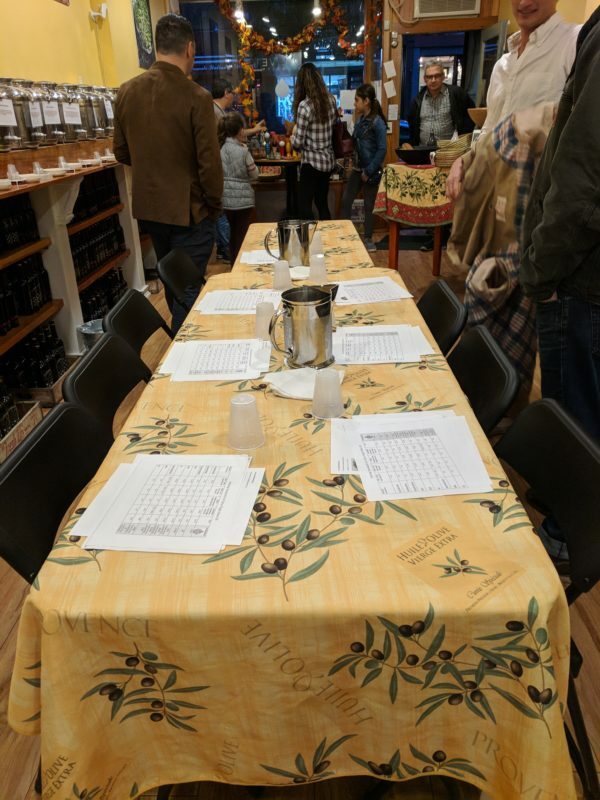 The next Olive Oil 101 class is scheduled for Tuesday, November 13 at 6pm.